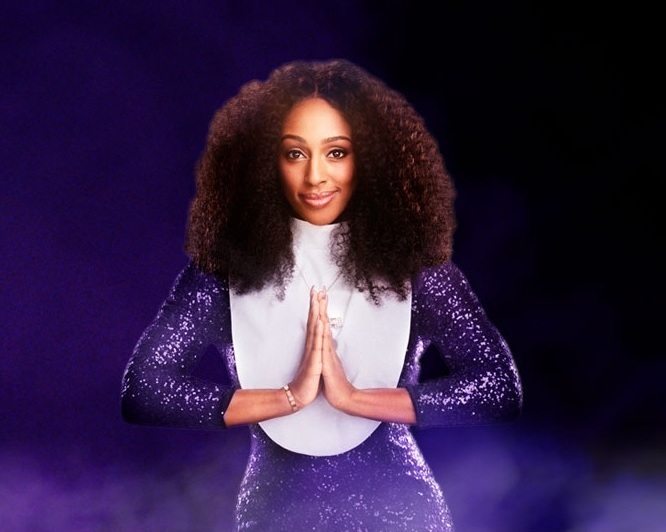 Based on the 1992 movie of the same name, Sister Act tells the story of aspiring singer Deloris Van Cartier. After witnessing a murder Deloris is sent to a convent under witness protection, and immediately butts heads with her Mother Superior while getting to know the eccentric nuns who bring out a side in her she did not know was there. Directed and choreographed by Craig Revel Horwood, there was never a dull moment, from witty lines to comedic songs to rapping nuns. The original score seems familiar and really captures the spirit of the movie while the songs still sound individual enough to hold their own on a theatre stage. Alexandra Burke had Deloris Van Cartier down to a tee and captured the complete essence of the character. From the fame-seeking, almost selfish singer in act I, to a well rounded woman who knew what was really important in life in act II. Aaron Lee Lambert played bad guy Curtis Jackson so well - creepy but in the best way possible, particularly during 'When I Find My Baby'. As a collective, the ensemble were excellent but Rosemary Ashe really stood out as Sister Mary Lazarus, an old school nun who was enjoying all that Deloris brought to the convent. This feel good musical is guaranteed to have you laughing from start to end and leave you feeling 'Fabulous Baby'.